A member of the child abuse royal commission is calling for Australian churches and their charities to have more financial transparency. Source: The Age. 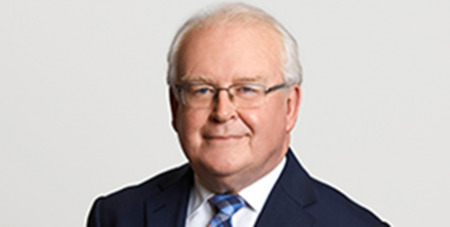 Robert Fitzgerald AM, one of the six commissioners who oversaw the five-year royal commission, will today call for the scrapping of special exemptions that have until now allowed half of church charities, including much of the Catholic and Anglican church networks, to avoid financial reporting to the charities watchdog, the Australian Charities and Not-for-Profits Commission. In an address celebrating the 10th anniversary of community legal group Justice Connect, Mr Fitzgerald will publicly declare for the first time that the arguments for the exemptions for “basic religious charities” do not hold up. Mr Fitzgerald will explain how the exemptions had sent a “poor signal” to the wider community that some charities deserved special treatment simply because of their religious status. “In light of what’s been revealed about abuse and poor governance by the royal commission and other inquiries, why should anybody be exempt from good governance requirements? The final report of the Royal Commission into Institutional Responses to Child Sexual Abuse, delivered last December, made 400 recommendations to secular and religious institutions. It called for improved accountability, governance and transparency but did not specifically address the issue of the exemptions for basic religious charities. Mr Fitzgerald, a practising Catholic, was also the inaugural chair of the charities commission advisory committee, when the Gillard government established the commission in 2012. A five-year review of the Charities Act was written into the 2012 law. The review recommends a rethink of the reporting exemptions, subject to conditions. It was tabled in federal parliament amidst the August leadership turmoil. It is unclear when the government will respond to the review’s recommendations.